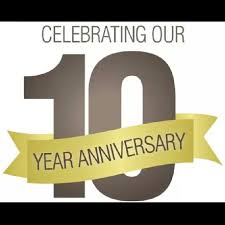 Today marks our 10 year anniversary since our organization began! PER has come a long way since we discovered that a horse rescue was needed in this area. It was because nothing was being done for the neglected and abused horses that we decided to start our organization. We investigated almost 200 cases in our county and are happy to say most horses received better care through educating their owners. We did have to bring some horses into our program, however and we put a lifetime safety net on each of our rescues, so we can ensure that they are never abused or neglected again. Our county now has an animal cruelty team of investigators through our animal control department who are trained to recognize neglect or abuse of dogs, cats, cows, sheep, goats, pigs, poultry, rabbits, birds, exotics and of course horses! We work closely with them on the equine cases and are currently set up to take any critical horses into our facility for rehabilitation, unless they need to be hospitalized at a veterinarian clinic. Our future hope is that people will take better care of their animals in this county because they know they will be held accountable otherwise. Our intake numbers for equines have dropped considerably and we feel that it is because PER exists and our animal control department has put together their special team of knowledgeable investigators. In the meantime, PER will continue to care for those we have already taken in. Currently, we have 16 horses in our foster program and we need your support to give them the care they need. We would like to take this special opportunity to thank all our donors, sponsors, members, volunteers, fosters, adopters or anyone who has referred someone to us or spoken positive about PER. Without you, we could not have helped so many equines. With your continued support, we plan to go another 10 years!